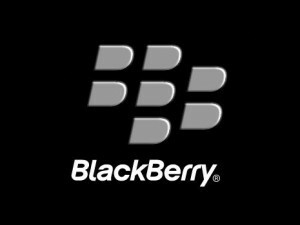 BlackBerry Q10: As of late, Research In Motion Ltd (NASDAQ:BBRY) BlackBerry has not experienced many moments of euphoria. Instead, the company has been dogged by rumors and an operating system that just can’t seem to catch up to its competitors. Fortunately for Research In Motion Ltd, a new day and new device brings restored hope. Just as its Z10 was much hyped, the same holds true with the company’s latest offering: the Q10. There are many reasons why this Research In Motion Ltd (NASDAQ:BBRY) device is receiving so much attention, including the fact that it features a QWERTY keyboard. This is the feature that made the smartphone company so popular in the past, so it is only natural for it to hope for more of the same this time around. As noted on the official BlackBerry blog, today is the day that the first group of customers in the UK will get their hands on the new Research In Motion Ltd Q10. Shortly thereafter, on May 1, customers in Canada will finally be able to test out this device for themselves. With all this in mind, it is time to let the games begin. And by games, we mean that consumers will be chiming in on what they like, what they don’t like, and everything in between. Of course, just because consumers had to wait for a chance to test out a Research In Motion Ltd (NASDAQ:BBRY) Q10 it doesn’t mean that others were in the same boat. Just the same as many tech companies, BlackBerry shared its new creation with the media. The once dominant company is hoping the tech media will fall in love, pumping up consumer demand and pushing sales out the door at a rapid pace. While it is still too early to say what early sales numbers will look like, Research In Motion Ltd has not wasted any time tooting its own horn. In its most recent blog post, the company listed out some of the best reviews the Q10 has received thus far. The tech media has spoken, and most of the reviews have been positive. Does this mean consumers will feel the same way about the Research In Motion Ltd (NASDAQ:BBRY) BlackBerry Q10? Not necessarily. The good thing is this: we won’t have to wait long to find out. Check back here for more updates on BlackBerry Q10.